Hi friends,it's my pleasure to express my happy feelings that i have achieved one year milestone in my blog.YAHOOO!! I learnt cooking from the past three years only (after coming U.S). From my school days i was(even now) crazy in collecting recipes,that lead to think innovative in cooking and sharing recipes to all of you!! I wish to take this blog in long term success and helpful for viewers like you. Still i feel learning never ends and i'm learning from other bloggers as well. For this Occasion i'm sharing a sweet dish which i learnt from one of my friends mom. Wash the rice and drain the water. Heat a heavy pan,roast the rice,in medium flame. Let,it cool down for a min and grind in to semi course power.Keep aside. Now pour milk in heavy bottom pan,keep it simmer and bring to boil. Mix the milk,to avoid stick in bottom and edges. Then,add the coursed rice powder slowly.Avoid lumps. Cover with lid and Cook the rice in milk,till cooks.Almost 10 mins. Add the sugar and condensed milk.Mix gently. Then add the cardamom powder and pinch of saffron on it,mix again. Cook it in low flame for 5-10 mins. Should have to be in Payasam Consistency.If you want to add milk,add now and boil it for 2-3 mins. 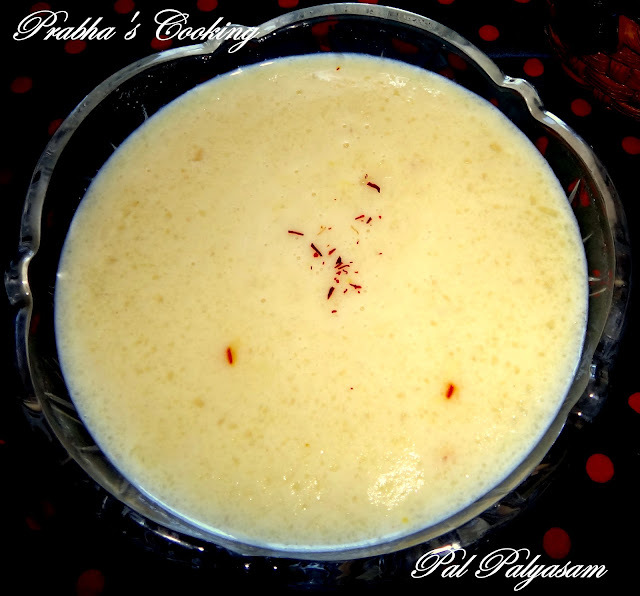 Linking this to Radhika's,"Lets cook~Sweet something" and Vardini's "Sweet luv"
Congrats Prabha... Yummy kheer and thanks for linking it to the event. Happy blog anniversary...Pal payasam looks super tempting..
A very happy first anniversary!! quick rice payasam is grt!!! Payasam is perfect for this celebration..
Congrats Prabha..wishing you many many more blog anniversaries...keep feeding us ever with your virtual treats. Congrats dear...wishing you many more...payasam looks yummy and delicious and perfect for the celebration. 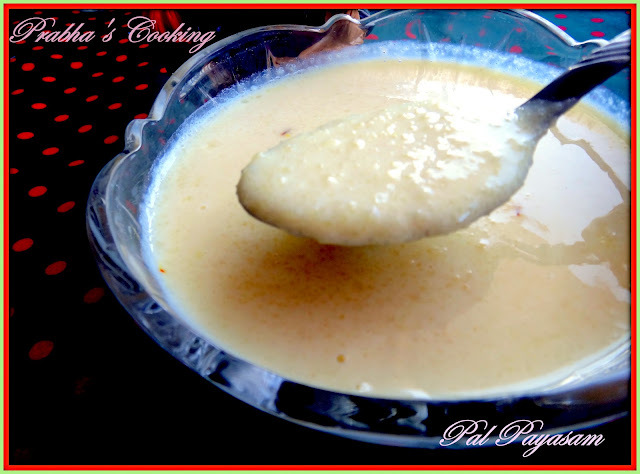 Congrats on your blog anniversary and the payasam looks yummy and perfect for the occasion. Thx for linking to the event. Congrats Prabha! Wishing U many many more years of blogging...keep rocking! 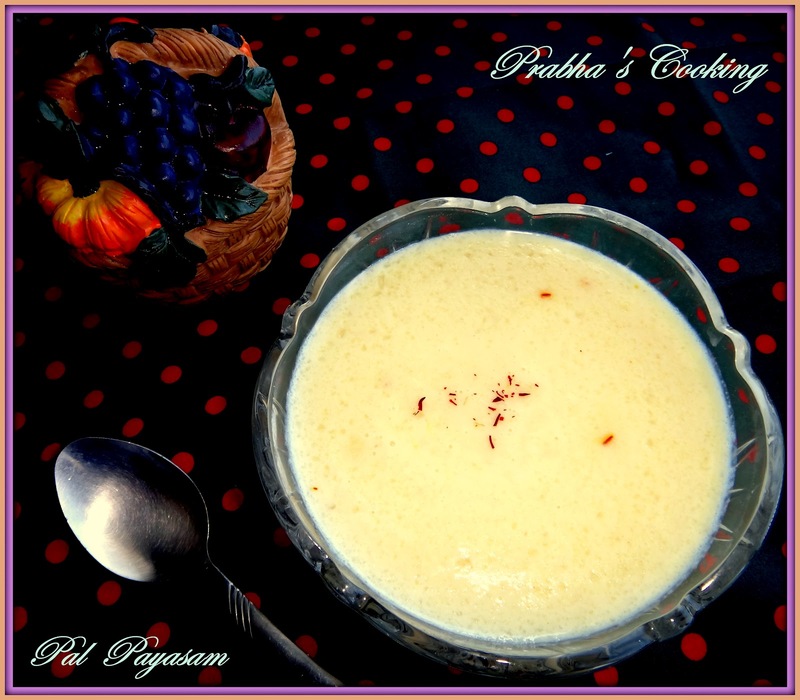 This paal payasam sounds so delicious n looks more tempting...will try this sometime!! congrats! :) Happy bloggiversary! :D payasam is perfect for the occasion!